Henrik Fisker: "India has the unique opportunity and possibility to go all-electric very quickly, as the country doesn’t have a massive, advanced ICE vehicle industry to change." Henrik Fisker, the well-known automobile designer and entrepreneur, who is now pushing the cause of electric vehicles (EVs), is exploring an India game-plan. The chairman and CEO of Fisker Inc, who aims “to change the paradigm of mobility” through developing cutting-edge, exciting and revolutionary vehicles, believes India is ripe for electric mobility. Fisker believes that the huge changes to the car industry brought on by autonomous and electrified machines will create a window of opportunity for start-up firms to thrive. He says that Indian auto industry has a choice to either invest in ICE technologies or invest in EVs, and with government support the country could become a global EV technology and manufacturing hub. 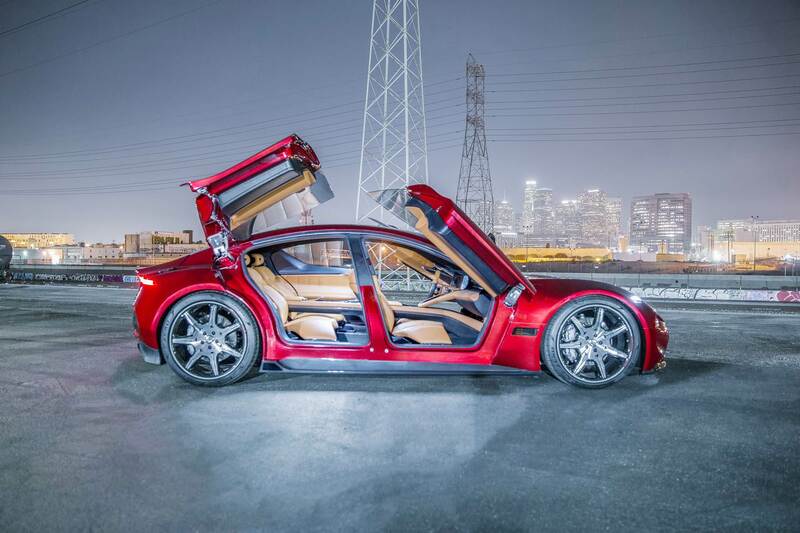 In fact, Fisker says that he is looking to set up a technology and software centre in India. “If there were government support, I would consider eventually setting up an advanced battery factory and vehicle assembly centre for our lower-cost, high-volume vehicles,” reveals Fisker. Earlier this year, Fisker’s EMotion electric car (pictured above) debuted at the Consumer Electronics Show in Las Vegas. Offering a 400-mile-plus (640-kilometre range) from its electric powertrain, the EMotion is claimed to feature state-of-the-art graphene solid-state batteries that can receive 125 miles (200km) of charge in as little as nine minutes. This is possible as a result of the batteries' claimed world-highest energy density of 2.5 times that of lithium ion batteries. The EMotion, which is said to have a top speed of 161mph / 257kph, will be autonomous-capable and able to connect to its environment – necessary puzzle pieces for full driverless capability. Key to its autonomous functions will be a lidar sensor, hidden in the car's front central darkened area. This can map the world around the car in 3D. The EMotion, with its four butterfly doors, was designed by Fisker, who previously designed models including the Aston Martin DB9 and BMW Z8. The finished car will be launched as the first model from Fisker Inc. It will be an expensive low-volume model with a carbonfibre and aluminium structure and batteries stored low in its floor. When the car goes on sale in the US in 2019, it'll be priced from $129,900 (Rs 82 lakh) at current exchange rates. Fisker has filed for patents securing solid state battery technology that it claims will enable a 500-mile / 800-kilometres range and charging that can take just one minute. It is said that the technology could be production-ready for automotive platforms as soon as 2023, but that non-automotive applications may be able to utilise it earlier. Speaking to Autocar UK earlier this year, Fisker had said there will also be a second, higher-volume and lower cost model to follow. Fisker is collaborating with an established car maker, and Fisker will produce this high-volume vehicle in its own plant. Fisker is now aiming to launch the EMotion by 2020, and it could possibly be the first premium EV maker to set up a base in India. Also read: Insight: could Fisker become the next Tesla?